Luxury private flights have been going in and out of Key West with great frequency since the 1950’s. 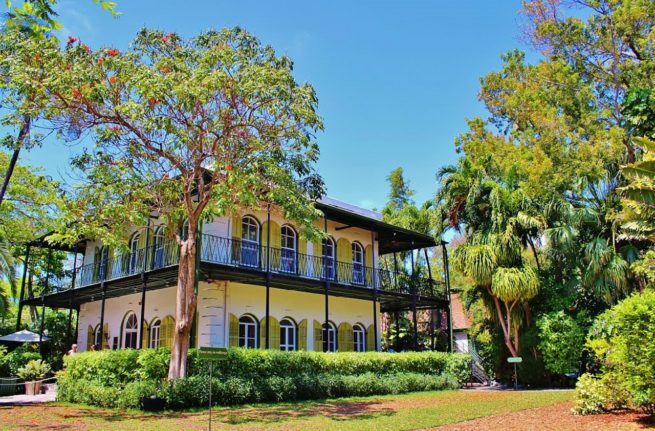 With the advent of its first international airport, Key West put itself on the map as a hideaway, a party town, and a charming vacation destination. Since then, its reputation has only grown – placing it on the world stage as a top locale for a great time. Our clients love to take quick private jet trips over to the keys; it’s a place where you quickly feel at home, taking up residency at your bar of choice. Whether you’re jonesing for the oysters at Alonzo’s or you feel like having a wild weekend, a private flight to (EYW) Key West International Airport is just a call away. Miami Beach Jet Charter brokers are available 24 hours a day and 7 days a week to ensure that your needs are met exactly when they need to be. We can arrange anything from multi-leg private flights with gourmet in-flight catering, to luxury ground transportation and private helicopter lifts; virtually anything can be arranged upon request. We may even be able to cut the price of your lfight with empty leg flights in the FL Keys! Request a quote now or give us a call to book your luxury private flight to Key West, Florida. Charter a private flight to Key West and enjoy some of the most charming and iconic lodging options in the United States. Back in 1953, it developed its own airport and boosted tourism exponentially. Hotels, bed and breakfasts, and boutique guesthouses started sprouting up like daisies, and now there are plenty of hotels to choose from. Our local aviation brokers can also arrange helicopter lifts if you have a particular place you like to stay at or visit. The camping and guesthouses are definitely worth looking into as well. If you have a boat in the area, or you want to charter one, a lot of the campgrounds have cabins that are right next to the docks, so you can just wake up and hit the water immediately. Regardless of where you stay, you’re sure to have a great time. However, some lodging options do stand out above the rest and are worth looking into. Our Key West Private Jet Charter representatives have developed a list of the best places to stay in the area. Based on jet charter client feedback, online reviews, amenities offered, and location, there’s sure to be something on the list that piques your interest; read on to check it out. Private charter flights are a great way to mentally prepare yourself for an iconic Key West weekend. No one wants to kick off a vacation by waiting in long lines, drudging through airport security, and worrying about connecting flights. Get in the vacation mood as soon as you reach the tarmac by skipping the lines, boarding your private jet and enjoying a bit of gourmet catering on your way to the Keys. 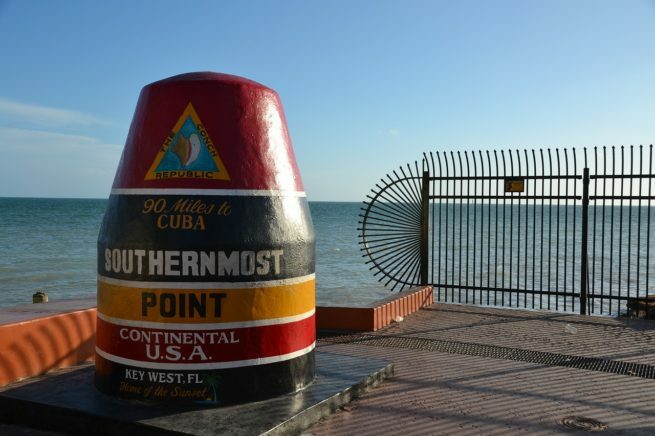 Generally considered the weirdest island in the country, Key West has always maintained an atmosphere of isolation; it’s unique identity is apparent in every fiber of its being. Duval Street is your go to locale if you want to get right to partying after your private jet lands. It boasts everything from world-famous bars and gourmet eateries to slightly more… eccentric diversions. On the other hand, Duval Street doesn’t really start bumping until later in the evening; you’ll also be able to see the iconic Sunset Celebration at Mallory Square at that time. Maybe a bit of snorkeling, parasailing, and boating is in order before you hit the strip. Whatever you decide to do after your private flight, you’re sure to enjoy the city’s one-of-a-kind personality. If you’re hoping to have an itinerary full of options, then keep reading. Our local jet charter brokers have put together a list of all the top attractions for after a private flight. Miami Beach Jet Charter utilizes the following airports to fly clients privately to/from Key West, Florida and neighboring areas of South Florida. Request a Quote or give us a call at 1-888-987-5387 to speak with one of our Key West Private Jet Charter agents for your next luxury vacation, business trip, or special event.